A few years ago, a co-worker and I were siting in the office of my fire station when I saw the most defined shadow person I have ever seen. I was writing up a report from the call we had just run and for some reason I looked up. At that moment I saw a human shaped black mass “walk” from the bathroom to the kitchen. I got up quickly and went to the kitchen but no one was there. I walked back to the office wondering what I just saw. I asked my co-worker if she saw anything out of the ordinary or strange and she quickly replied, “No, and I don’t want to know what you saw, I know what you see” with a smirk and wide eyes. Like many other people I have had shadows in the corners of my eyes, only to disappear when acknowledged, but nothing this pronounced and clear. This instance is what really provoked me to start researching the phenomena known as “Shadow People”. When I began my research I was expecting to hopefully find one theory that would explain what I saw……boy was I wrong. There are just as many theories as there are experiences pertaining to this phenomena. The only thing that seemed to be the same in all cases was that they were dark in color. Due the varying data it seemed that “Shadow People” could be defined as another race, if you are so inclined to see it that way. Just as in humans, no one true trait could be attributed to to this phenomena. It would basically be like stereotyping a certain race, there is exceptions to every stereotype that one could come up with. I felt it would be easier to come up with a compilation of data, list them in one document, and let others decide what they had experienced and leave it at that. By doing this I felt it would allow me to keep an open mind and not be thrusted to put them into any certain group, as many have done in the past. I hope you enjoy what I have come up with. 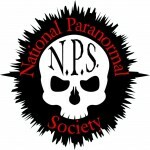 THEORIES: Ghosts, Astral travelers, Djinn or Jinn, Aliens, Angels or protectors, Demons, Time travelers, Inter-dimensional travelers, Mischievous spirits, Malicious Spirits, Phenomena related to sleep paralysis or Hypnagogia, Thought forms, Hallucinations, Pareidolia , Spirits trapped in purgatory, residual energy, secret government experiments. SHAPE: Usually a silhouette of a man or woman. Can be either with the addition of a hat, hood, coat, or cloak and at times red glowing eyes. Can also have an animal shape as well as being just a “blob” or shifting shapes. Have also been seen with horns, but very few accounts of this. Even though they are usually seen as people, animal shadows have also been reported. They can basically take any form. ACTIONS: Seen out of ones peripheral vision, Standing, Walking, Floating, Peeking around corners, scurrying about, and a few accounts of being attacked. LURKERS: Usually seen out of peripheral vision or peeking around corners, furniture, etc. Once seen they tend to duck around the object to not be seen. WATCHERS: Often tend to be seen standing either close to or far away from an individual having no interaction other than watching the person. Many people have reported this type standing at the end of their bed or in a corner. SCURRIERS: These are usually rodent or animal sized and seem to run very quickly across the floor, walls, or ceilings. FRIGHTENERS (NOT TO BE MISTAKEN WITH THE MOVIE): Usually this types tends to cause fear or dread. This can either be done by producing feelings or by “attacking” an individual. 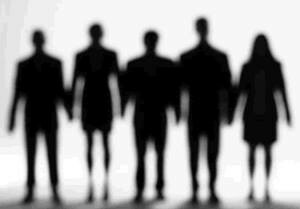 In my honest opinion I feel that in 99% of cases involving shadow people are benign. Does this mean that this is the standard at which you should gauge shadow people? No, I feel that every case of this phenomena differs in many ways and individuals should treat the case not the category. In conclusion I would like to stress that this is my interpretation of the information that I have researched and not the so called “GOLD STANDARD”. There are always new experiences and theories popping up. Go out , do your own research and come up with your own conclusion. You definitely will not regret it. Is it possible to create an “entity” using nothing more than your mind? Many believe that this was done back in the 70’s ,by a group of parapsychologists in Canada, while others believe it was nothing more than parlor tricks of the time. Keep in mind that this experiment was recorded and is accessible on line for viewing. Instead of me telling you my thoughts, I think it is best I give you the account of what supposedly went down and let you decide if they definitely created “PHILIP”, or if it was something else entirely. I hope you enjoy. One day, when out riding on the boundaries of his estates, Philip came across a gypsy encampment and saw there a beautiful dark-eyed girl. Her name was Margo, and he fell instantly in love with her. He brought her back secretly to live in the gatehouse, near the stables of Diddington Manor – his family home. Now that they had his biography, they needed to come up with a visualization of what they thought “Philip” should look like. One of the researchers came up with what they thought he should look like. Some say that the recreation of “Philip” looked a lot like Jesus is supposed to look. The picture included is Philip. All aspects of “Philip” had now been created. It was time to go ahead with the experiment. The group would get together and talk of “Philip’s” life, as if they had really known him. As well as talking about his life, they would also meditate about him. I’m not real sure on how many times a week they met, but this continued for a year. “Philip” never showed any sign that he was there. When he had not showed himself they decided to take the experiment on a new approach that had shown some interesting results in the 19th century, a seance. The new way of conducting this study continued for about a month, when finally, “Philip” made himself known. At first the table would vibrate and shake but later on in the experiment he began to answer questions. He would answer the questions with knocks on the table. One knock for yes and two for no. With all of the researchers having input on his life, they all knew what his answer should be. This continued for some time and he even started to add his own input into his story with historical accuracy and sometimes inaccuracy. This isn’t the only activity that they would experience. It is said the table itself would move around the room. He was also said to control the lighting in the room on command. 1) They actually produced a Tulpa through mere thought. 2) It was actually all a big hoax and all the activities were staged and rehearsed. 3) What they actually produced was a poltergeist, as it is believed that poltergeists are merely produced by ones subconscious. 4) It was something else coming through giving them the false hope and lying that they were indeed “Philip”. When in actuality they were not. When the stories of Mary first started, passersby claimed that she they would first see the a few feet up the road. When they got up beside her she would attempt to jump onto the running boards of their automobiles and vanish. All of this seemed to happen right as they got to the cemetery. Years after the first accounts new ones started to pop up. These seemed to be more interesting. They didn’t seem to center around the cemetery now. The stories now tend to begin either in or around the old O Henry Ballroom. Some accounts have her walking down the road near the ballroom and then get picked up, and some actually have her in the ballroom itself dancing with guests before being given a ride. Most of the ones that gave them rides were given bad directions by Mary that usually ended up with them driving by the cemetery and her disappearing right before their eyes at the gates. Descriptions of woman always seemed to match exactly. The other sightings weren’t as pleasant. Drivers would be startled when a blonde woman in a white dress would dart across the road. Usually the cars would drive right through her. When they stopped to see what happened they would see her turn and cross through the gates, never to be seen again. “The strangest account of Mary was the one that occurred on the night of August 10, 1976. This event has remained so bizarre after all this time because on this occasion, Mary did not just appear as a passing spirit. It was on this night that she left evidence behind! “Most researchers agree that the most accurate version of the story concerns a young girl who was killed while hitchhiking down Archer Avenue in the early 1930’s. Apparently, she had spent the evening dancing with a boyfriend at the O Henry Ballroom. At some point, they got into an argument and Mary (as she has come to be called) stormed out of the place. Even though it was a cold winter’s night, she thought, she would rather face a cold walk home than another minute with her boorish lover. “Strange things happened in the West Pittston, Pennsylvania, duplex where the Smurls lived. Janet and her husband Jack, along with children Heather, Dawn, Carin, and Shannon, and their German Shepherd named Simon, lived in the duplex next to Jack’s parents, John and Mary Smurl. According to the Smurls, the phenomena began in 1974. This case involves demonologists, a skeptic, a “priest,” and an exorcist who was an expert in the paranormal – what happened to the Smurls in the 1970s? The family claimed that a TV burst into flames, water pipes leaked, scratches appeared on walls, and toilets flushed by themselves. They also heard footsteps and music from unplugged radios while empty rocking chairs swayed, and experienced foul odors permeating the place, and drawers opening and closing by themselves. The Smurls also claimed the house had a paranormal macro menagerie: an incubus and a ghostly pig-like creature. The Smurls stated that they tried to get help from the Scranton Roman Catholic Diocese, which said it would consult experts. Janet alleged she thought a Father O’Leary was helping, but she came to believe he was a demon in the disguise of a priest! In 1986, the Smurls finally heard about and contacted self-proclaimed demonologists Lorraine and the now-late Ed Warren. The Warrens’ claim to fame stems from their involvement with The Amityville Horror which they proclaimed was real. The American Society for Psychical Research and other prestigious parapsychological organizations debunked this; one of the fraud’s perpetrators, George Weber, even confessed to the media that it was a hoax. In West Pittston, the Warrens conducted no scientific investigation and didn’t question the Smurls about their feelings regarding the alleged phenomena; however, they announced that three spirits and a demon haunted the house. They asked a Father Robert F. McKenna (later a bishop, who was a member of an order of Catholicism that the Vatican does not recognize) to perform an exorcism. Two unsuccessful exorcisms ensued; the third one appeared to work, but the family later determined that it had failed. It was around this time that the Smurls contacted the media and a book publisher. CSIOP Chairman Paul Kurtz offered to investigate the Smurl Haunting because of the attention the case garnered, and because of the Warrens’ involvement, and wrote a report about the results, “A Haunting in West Pittston? 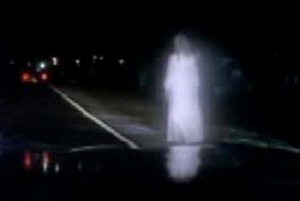 Not a Ghost of a Chance,” that appeared in the Winter 1986/87 issue of The Skeptical Inquirer. Kurtz sent two teams of investigators to West Pittston. 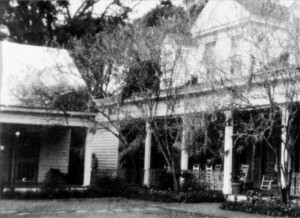 When they arrived, the Warrens denied them access to the house, although the Smurls gave one of the teams permission to investigate the Haunting claims. CSI members extensively phone interviewed the Smurls, neighbors and reporters working on the case. 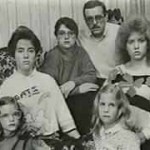 What Caused the Smurl Haunting Reports? Kurtz believed the hauntings were a hoax for a few reasons, including conflicting report from teenaged Dawn, and Jack’s health – he had brain surgery three years before the incidents to relieve water on the brain, which might contribute to delusions. Allentown psychologist Robert Gordon thought that the family possibly suffered from mass hysteria similar that which happened during the Salem witch hunts and trials. He said shared tension might cause this, and common symptoms could involve delusions or hallucinations. When Kurtz asked the Smurls to undergo comprehensive psychological and physiological exams, they refused. Neighbors had complained to town officials for years about foul stenches originating from a sewer pipe near the Smurl’s home as well, this could be the source of the odors the Smurls reported. In addition, There was intermittent settling of homes in the area due to layers of underground mine veins, which could have caused rocking chairs and other disturbances. Kurtz noted the possibility that financial gain could have caused the hoax as well. Within days of the story about the alleged haunting making national news, a witness allegedly saw Jack negotiating with Scranton businessman Ralph Loma, head of the Star Group, a Hollywood production company. Jack initially denied this, but Loma confirmed he tried to get exclusive rights to the story about the case. In November, St. Martin’s Press proclaimed that it signed a book contract with the Smurls. 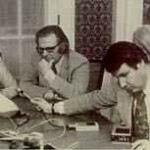 Ed Warren, in attempting to defend his refusal to allow the CSI team to investigate the Smurl’s home, called a press conference. He claimed he had tapes of terrifying sounds and a videotape of the dark form in the duplex. When someone asked for them, he couldn’t remember the name of the TV company to which he gave the tapes. He also said the Catholic Church had the “evidence.” The Catholic Church says that they don’t. The Scranton Diocese asked Father Alphonsus Trabold, exorcist, professor and paranormal expert from St. Bonaventure University, in New York, to investigate. When bishops feel that they don’t have a qualified exorcist in their diocese, they’re allowed to find one in another district. In 1998, I spoke with Father Trabold to find more information about the incredible phenomena in The Haunted, a book co-authored by the Warrens and the Smurls with Robert Curran. Father Trabold told me at that time that he had previously worked with the Warrens until he discovered they weren’t sincere, were not what they purported to be, and were given to sensationalizing. He chuckled when explaining that when he went to one of their lectures, they saw him and toned down their act, so he wore disguises when he went to their future talks. Father Trabold was very kind when he talked about the Smurl case and his investigation. He believed the family was sincere and that something happened, but he couldn’t say it was demonic. When I decided to write this article, I thought it would be a straight forward synopsis of the Voodoo Queen’s life and ending with with what is believed to her ghost. This couldn’t be any further from the truth. While doing my research I learned that this lady is wrapped in mystery and the truth is hard to pull out. The first mystery is her actual birth year. Everything that I found leads to the month and date of September 10, but this is where the variances begin. I first found the date of 1784 and began to write this article. While checking sources I began to find a few other dates as well. I came to the conclusion that she was born somewhere between 1783 and 1801. Okay, no big deal as for that time records were probably poorly kept or possibly got lost/destroyed along the way. The next thing that stumped me was the actual birthplace as well as to who her parents were. The mother wasn’t too hard to find as all the reference material I found stated that her mother was Marguerite Darcantel. The father on the other hand wasn’t as easy as I kept finding two different possibilities of a father. The first was Charles Laveau, a wealthy white creole plantation owner. The second was a free man of color who had the last name of Laveaux, sometimes cited as Charles also. Her birthplace went along with the differences of the father. While most things cited she was born in New Orleans, a couple stated she was born Santo Domingo in the Dominican Republic. The mystery doesn’t stop there. Some say that she was brought up as an educated woman that learned the art of hairdressing which was very prestigious at the time. Other sources say that she never learned to read or write. All do say however that she was brought up as a devout catholic, which would lead one to believe that she could actually read and possibly write. The story starts to even out a little about these aspects of her life. On August 4, 1819 she married a free person of color of Haiti, by the name of Jacques Paris. The couple then moved to the French Quarter of New Orleans. The couple was together until he went missing and presumed to be dead in 1824. (Although there is some evidence that he deserted her). Presumably she was left with two children as well. After the disappearance she is believed to have become a hairdresser to many prominent women in New Orleans. Some say this lead to part of her fame. She also would go to the prisons and minister to the ones on death row, as well as care for sick people in her home. Somewhere around 1826 she entered into a common law marriage with Louis Christophe Dumesnil de Glapion. This fellow was a very prominent member of the New Orleans society. There is a little discrepancy as to how many children they had. It’s just safer to say that they had anywhere from five to fifteen kids. They remained together until his death in 1855. At this time she stopped hairdressing and raising her family was one of full time jobs. She continued her legacy up until she died in 1881. Or did she? She has been spotted outside of home on St.Anne St numerous times. After hurricane Katrina it is said that she was seen on her front porch weeping because of the state the city she loved was in at the time. It also said that a thick black mass has been seen above her home accompanied with the smell of sulfur. She has also been spotted outside of her supposed tomb in St. Louis Cemetery #1. Many feel that she is still at work. Visitors to her tomb draw three X’s on it’s wall and make their wishes known to her believing that she will still carry on her life’s work. 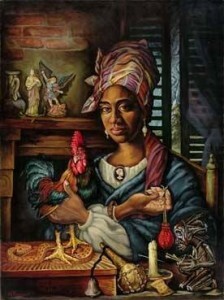 Whether true or not she remains as one of New Orleans most famous and powerful women. I hope you have enjoyed this and it inspires you to go out and do your own research on this remarkable woman. I am sure that most of you have been riding down the road and noticed a building that you would love to investigate. The one that when you look at it, you get cold chills down your spine just because of pure excitement of the possibility of crossing the threshold of its doors. This is the point that your mind starts racing trying to figure out the right way to go about investigating this location, not only legally but SAFELY. How many of us really know the right way to go about investigating a location that appears to be abandoned? In this article I will outline the proper ways to go about getting permission to investigate these buildings, as well as steps to ensure your safety while conducting said investigation. 1.) Find out the owner of the building: This can be achieved in a number of ways. If there are other buildings and businesses adjacent to the building, stop in and ask if they know who owns the structure. If you can’t get any information from them, many counties and cities use what is known as GIS that you can use to get this information from the computer to trace the address and find the owner. If they do not use this system you can go to the county office or city hall and they can instruct you on how to obtain the owners name and in some cases they may be able to tell you right there. 2.) Contact the owner: Before you contact the owner have what you want to say already in writing so that when you get in touch with them you already know what to say and you can sound as professional as possible. Let the owner know that you will do no harm to the structure and you are only there to conduct an investigation. They may or may not agree to let you do so. If they say no, thank them for the consideration and leave your contacts and let them know that if they ever change their mind you are still interested in investigating there. However if they do say yes, setup a date and time that you can meet with them at the location and go over the property with them. 3.) Pre-investigation Investigation: Make sure that you bring a notebook, a permission to investigate form for the owner to sign and date as well as other forms that your teams utilize, caution or flagging tape, a camera, and possibly a video camera. Go through the location and note any belongings etc. 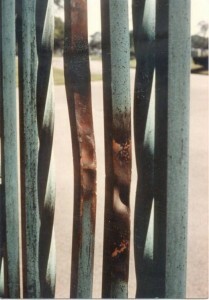 That are still in the structure and photograph them as well so it shows their condition before conducting the investigation. Take notice of any hazards that you come across and flag them with your tape and photograph them. If there are any hazards that could be a respiratory hazard please make notation that you will need to include respiratory protection while the investigation is being conducted. Also, keep an eye out for any indications that squatters or vagrants could be possibly be taking up residence in the building and let the owner know. This probably goes without saying, but make sure to take as many pictures, and possibly video, of the location so that you will have them for comparison when reviewing your investigation pictures and video. Also make sure to make note of any background noise that you may hear such as heavy traffic, domesticated animals, farm animals, etc. You can also use this time to go over the history of the structure with the owner. Find out if there are any stories or legends associated with the building, as well as former tenants that may wish to share there experiences. Go to the records hall or the internet and get as much history as possible on the location. This can include what the place was used for, any noted deaths, year it was built, and so on. 4.) Gearing Up: Take the information that you collected during your pre-investigation investigation and make a checklist for your team that includes any special equipment, as well as the standard equipment you already bring with you. Aside from investigative equipment make sure that you at least have a basic first aid kit. If your members have any allergies you should ask them to include any medications for the kit that can be used to combat such allergies. If you use certain items for paranormal protection, you may want to include this on your list as to not forget them on investigation day. 5.) Investigation Day: On investigation day, show up to the location a little bit early so that you can do a quick walk through noting any changes that have occurred since the pre-investigation, and look for any hazards again such as slips, trips, and falls. If anything has changed make notations as well as photograph the changes. Go ahead and do your investigation as soon as everyone is ready and acclimated to the structure. 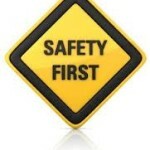 Make sure to use all the protection equipment that you have listed. NO DRUGS OR ALCOHOL before or during your investigation. At the end of the investigation, take a few extra moments to run through and photograph the location one last time to show the condition of everything as you left it. 6.) After the investigation: Of course review your evidence a couple of times as to not miss anything. Send the owner a thank you letter and include a list of any evidence that you find. Also give them an invitation to contact you if they would like to experience the said evidence. This could aid you in gaining another investigation due to the this client giving you a good reference. This is a just a list that I feel will keep you legally and physically safe when conducting investigations in abandoned locations. I know that every investigation is different so this list can be altered to suit your needs for whatever investigation you may have. Make sure to abide by all state and local rules. Try to think about what things may physically occur and try to have a game plan for such instances and what items may be needed for them.